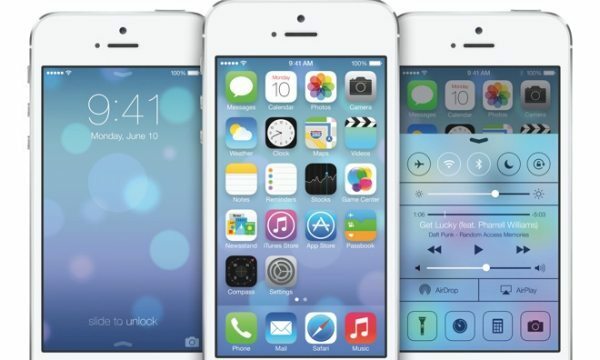 Millions of Apple customers have already installed iOS 7 since it was released to the public last week, but there are a few iDevice users that are a little worried about downloading and installing iOS 7 because they believe there will be problems with apps updating and or crashing. Not so long ago an app testing company called uTest reported to Business Insider that 90 percent of pre-existing iOS apps will have trouble with iOS 7, come on now are they for real? Of course there will be a few issues with pre-existing apps until developers update so that the application works well with the new operating system, this has been the same for any new operating system. If you believe for one minute that all apps will work fine with iOS 7 as soon as it was released then you really do live it cuckoo land, these testing companies are on another planet and all they do is scare people away from trying out something for themselves. The test carried out by uTest reported that apps are having problems when it came down to performance, leaving developers trying at least three to four times to attempt a fix. It was also mentioned that when the testing company moved from iOS 4 to 5 to 6 they did not see a spike in both UI rendering issues and performance. There are millions of applications in the App Store, it will take time for developers to make these compatible with iOS 7. We here at Phones Review only had issues with apps crashing when iOS 7 was in beta; since it went live to the public we have not had many major issues at all. Yes the odd app closes on us but considering the amount of apps on our devices, it is not a major deal for a couple of apps to crash. Apps now update automatically with iOS 7, you do not need to check for app updates anymore. A few apps will crash on you, and this is simply down to the apps developers working on updating it. All of the apps we have installed work fine, are you having problems with apps crashing on you? My apps won’t update. They are all linked to an Apple ID that I don’t ever remember creating, to an email address that I haven’t used for at least five years. I can’t sign in on that Apple ID; the email they supposedly sent to that email address to allow me to change my password hasn’t arrived yet after over an hour of waiting; and these are apps that I have updated within the past month on a different Apple ID. So yes, I would agree that the iOS7 update has bungled something beyond apps needing to catch up. It has changed the Apple ID for a bunch of my apps. well, when I say the app wont update I mean an update is available but the app store just hangs……is that clear enough for ya? my iphone 4 says software is installed but when it goes to install and verify i get a message error installing ios7. I tried with i tunes and hit update, all I get is message that Itunes is latest version 6.3.0. EVEN though message says ios7 is available for update. Having the same problem Laura, Waiting for several days on some apps. Also my battery crashed (looses full charge within 4 hours) and the phone is only 16 months old. Did you try holding down the power and home buttons until the phone reboots? Worked for me. my apps updated, but they continue to crash. I wonder how long before all bugs are fixed? I give up! I have 14 apps that won’t update. I click update all, get the revolving circle indicating something is happening and then… Nothing… Back to 14 apps needing updatE! Over to the apple store or me!